Best way I've found to overcome fear of the blank page? Use materials that aren't precious. Kids' art supplies are a great way to "break the ice." 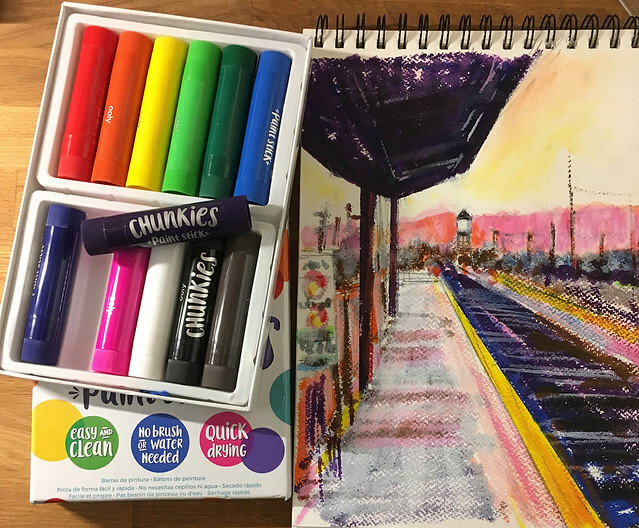 Decided to break out these Ooly Chunkies children's paint sticks to start off my new sketching year. Oh my, are they a challenge! They are so imprecise that I had to use a piece of cardstock as a stencil to get anything resembling a sharp edge. 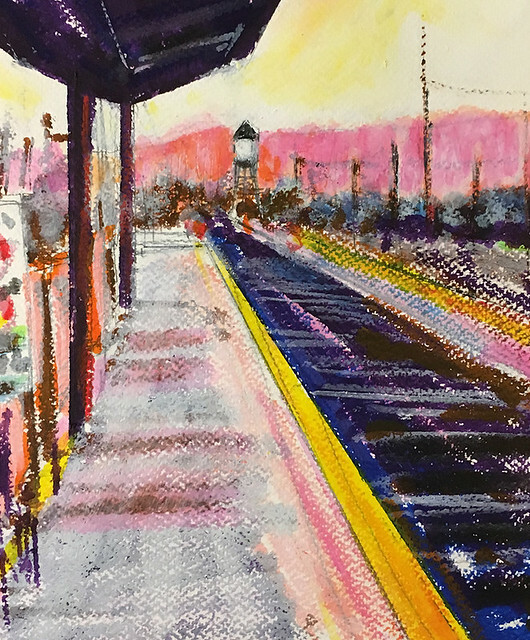 And all those bright, not-really-blendable colors meant I had to be very creative in my use of white overlays in this scene of San Jose's Diridon Station platform in early morning light.